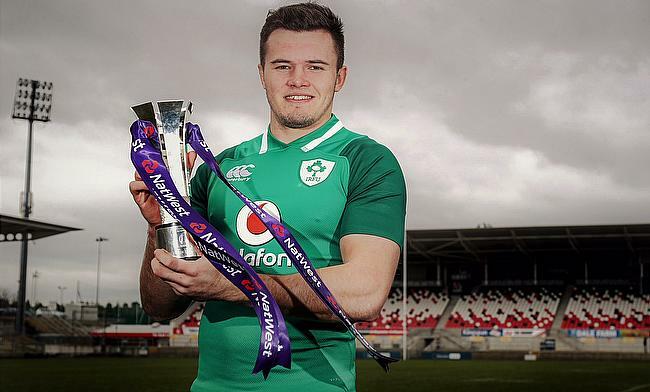 Ireland's Jacob Stockdale has been voted the 2018 Six Nations Player of the Championship for his stunning seven-try haul. The 21-year-old winger won public vote ahead of his Ireland teammates Conor Murray and Jonathan Sexton. Stockdale secured 32% of rugby fans' votes, while Murray was polled second best 18.2% with a slight edge over Sexton who came third 18% votes. Ireland wing Keith Earls finished fourth with 14.5% of the vote with Italy’s impressive Matteo Minozzi coming fifth with 13.2%. France captain Guilhem Cuirado completed the list with 4.1%.